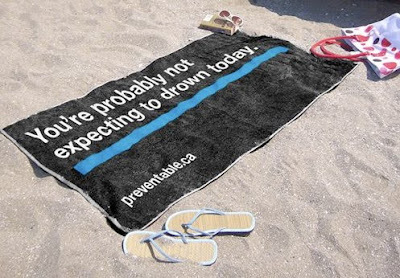 Awareness Message Beach Towel: This unconventional shaped beach towel was created as a part of an ambient campaign to raise awareness to avoid being excessively in the sun. 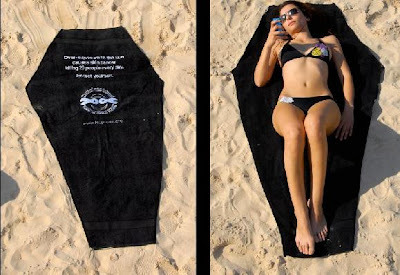 Grill Towel: 50 towels with a coal grill printed on them were placed at the Gordon beach in Tel Aviv as a part of a creative campaign to increase awareness to avoid being excessively in the sun. 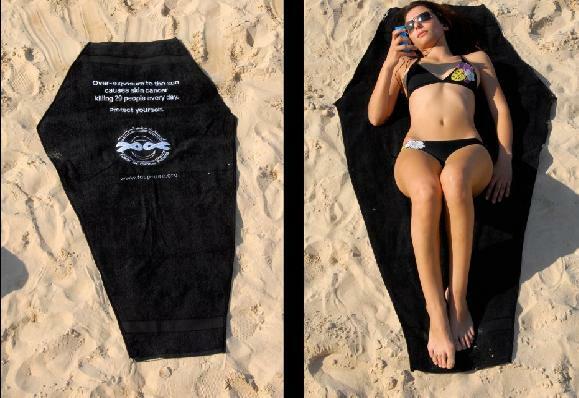 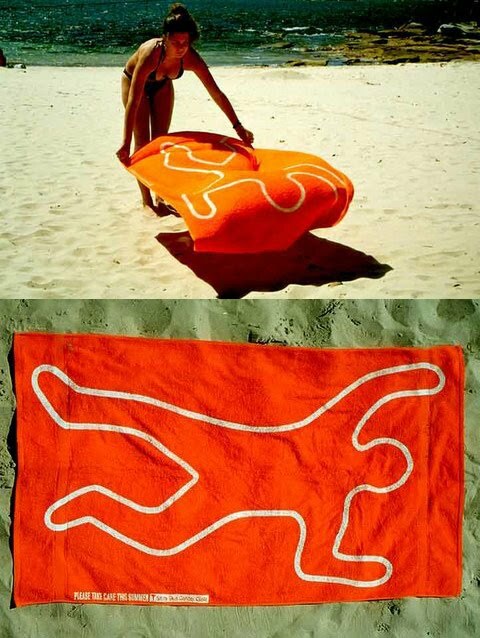 Sand Towel: This clever towel was created as a part of an advertising campaign to promote the travel insurance. 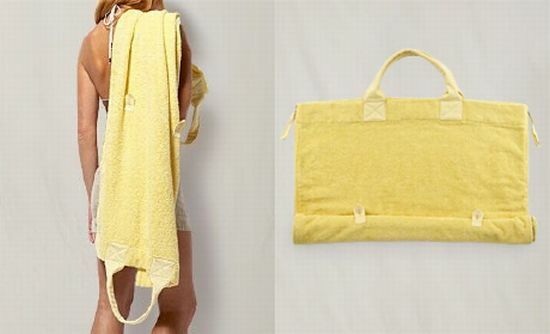 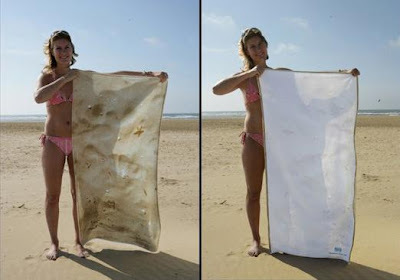 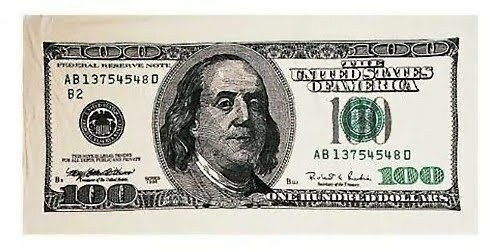 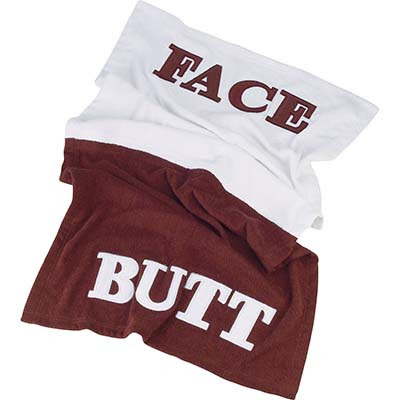 At first glance it just looks like any other ordinary white towel but when turned over it has a photo of sand printed on the back that will cover and protect your valuables when you go swimming.